Laguna Verde is a fishing resort situated at 15 km from Bucharest’s city limit and nearly 40 km from the city centre, in the commune of Balotesti-Fieni. Laguna Verde is a good destination for the weekend, providing a restaurant and accommodation in two villas, as well as in bungalows by the lake and trailers. Camping is also allowed, so it is a low budget option too! The complex is offering a lot of sports and leisure activities, mainly water activities such as fishing, boating, kayaking, swimming etc. Locals in Bucharest have reviewd Laguna Verde Fishing Resort - Sport venues in Bucharest. 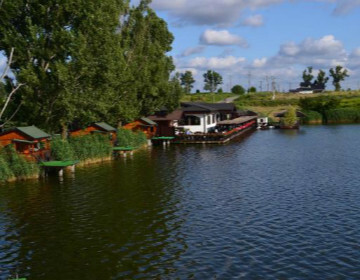 You can find here description, reviews, address, map, phone, website of Laguna Verde Fishing Resort in Bucharest. Visit Bucharest Tips for more Sport venues in Bucharest!